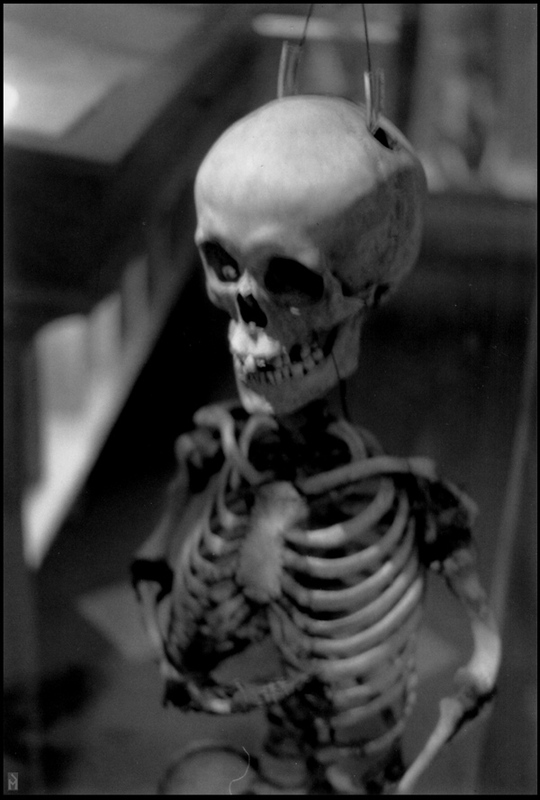 The negatives for these photographs were shot at the Mütter Museum in 1997, but had been sitting forgotten in a drawer for a decade until I found them again and decided to dust them off. I remember that when I first had this film processed I was rather disappointed with how washed out the prints seemed. Having rediscovered them, I realized that they were actually quite successful (my previous impression was due to a mediocre printing job — the negatives themselves were perfect). 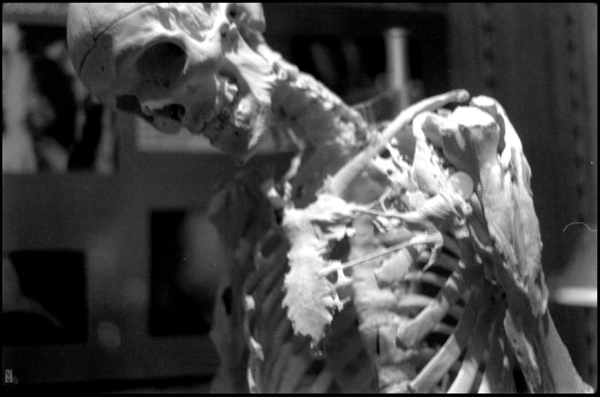 These photographs inspired me to pursue a new project called Cabinet of Curiosities, which focuses on unusual artifacts found in medical and anatomy museums. 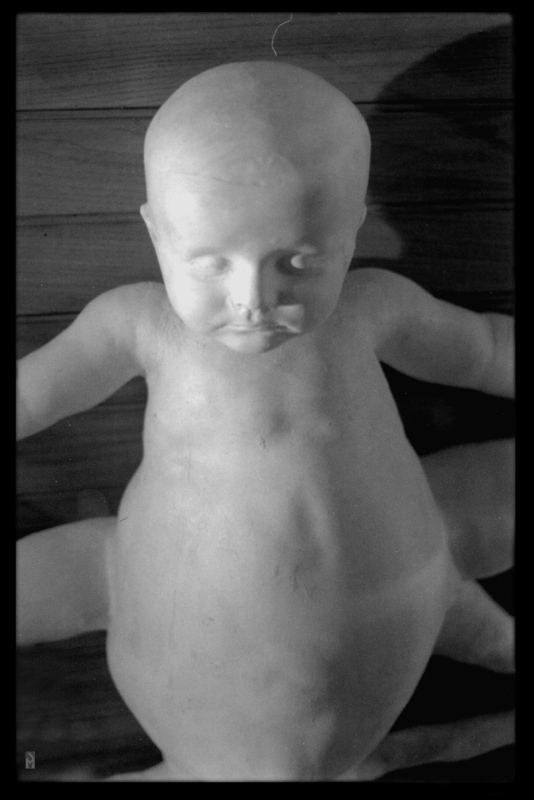 That series of drawings, prints and photographs is available to be viewed now — including new photographs from the Mütter taken in August 2008. 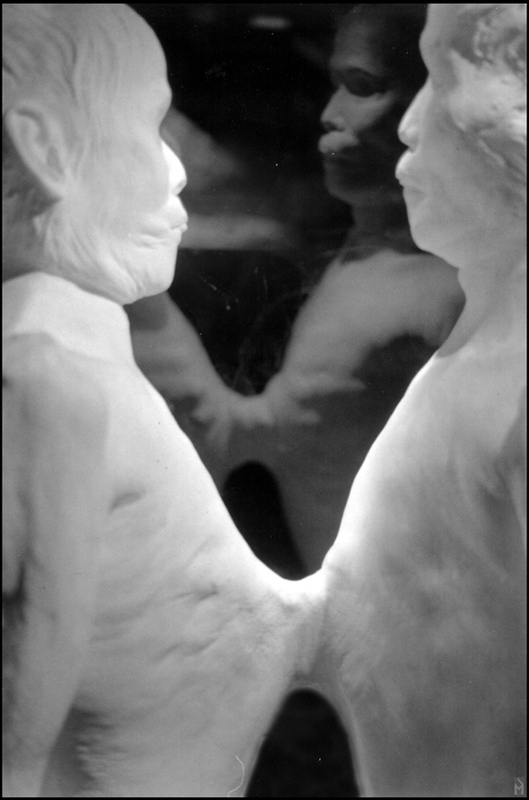 These photographs are dedicated to the memory of Gretchen Worden, who provided the access that made them possible. 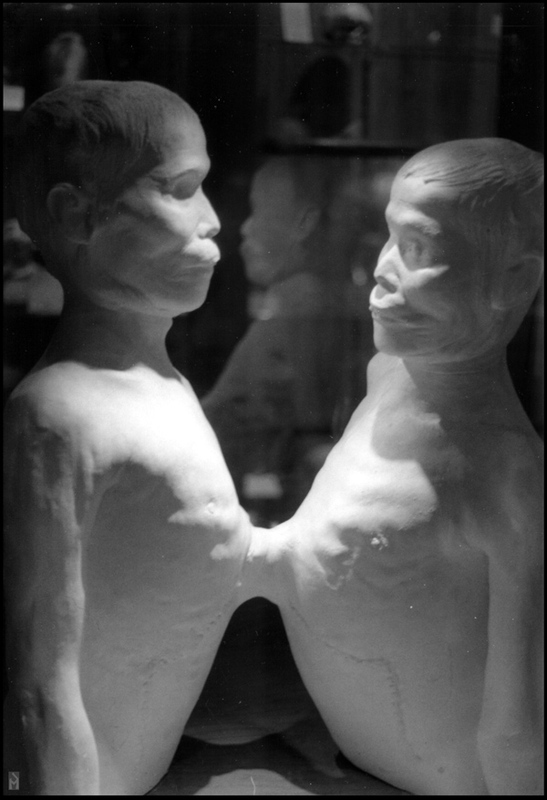 Plaster death cast of Chang & Eng Bunker, the original Siamese Twins. 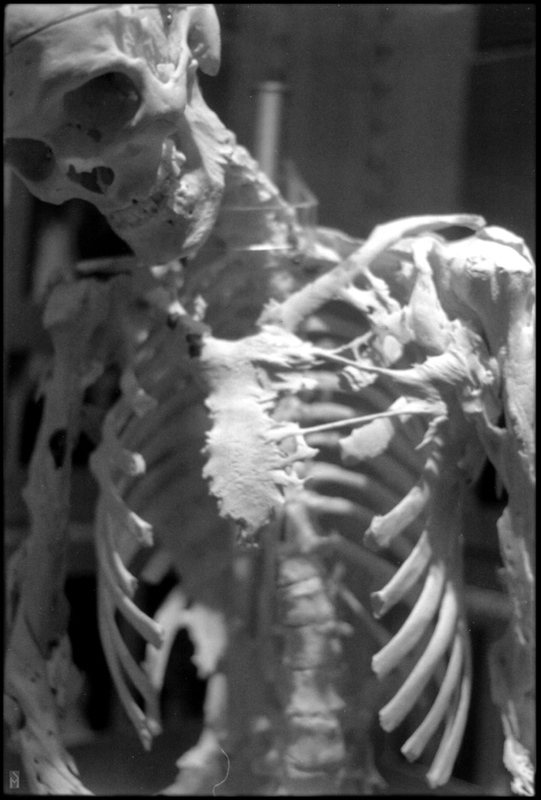 Skeleton of Harry Eastlack (1933-1973) who suffered from fibrodysplasia ossificans progressiva, a condition in which muscle and connective tissue turns to bone. d. 18 July 1871) of Peru Township, Ohio. 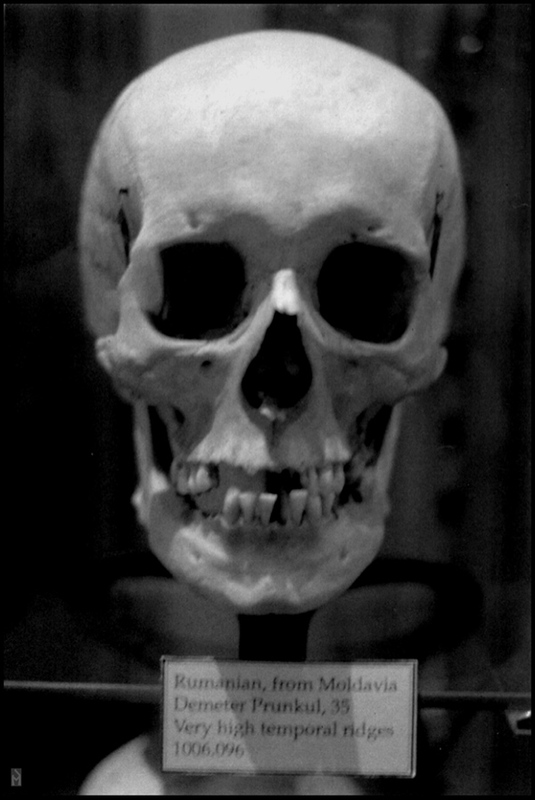 Austrian anatomist and phrenologist Joseph Hyrtl amassed a large collection of human skulls and other bones from around the world for use in comparative anatomy studies. 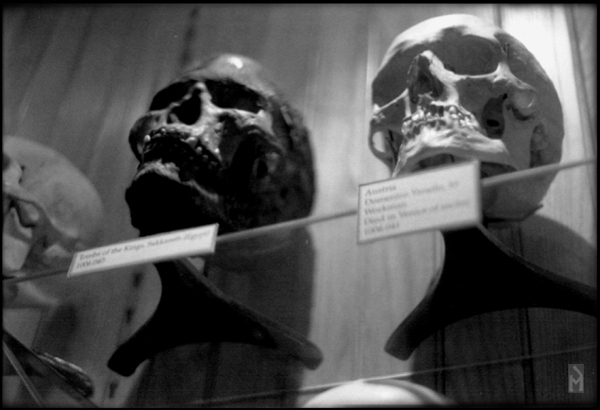 The Mütter Museum acquired more than 100 skulls from his collection in 1874. [All photographs by James G. Mundie.